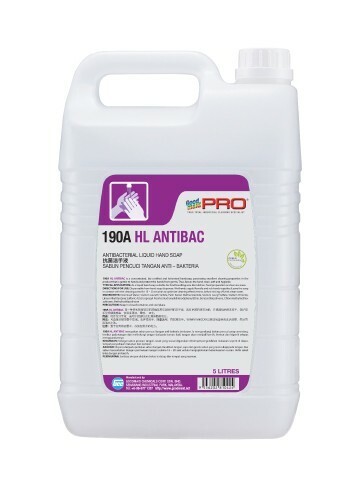 190A HL Antibac - Goodmaid Chemicals Corporation Sdn. Bhd. Concentrated, lab certified and lotionised handsoap, possessing excellent cleaning properties in the product that is gentle to hands and protect the hands from germs. Thus, leaves the hand clean, soft and hygienic. • Suitable for food handling area like kitchen, food preparation and service areas.